“If I may recommend a few places….” Alessandro unfolded the map on the kitchen table, lightly tracing the route through the streets and piazzas before circling important names and landmarks. 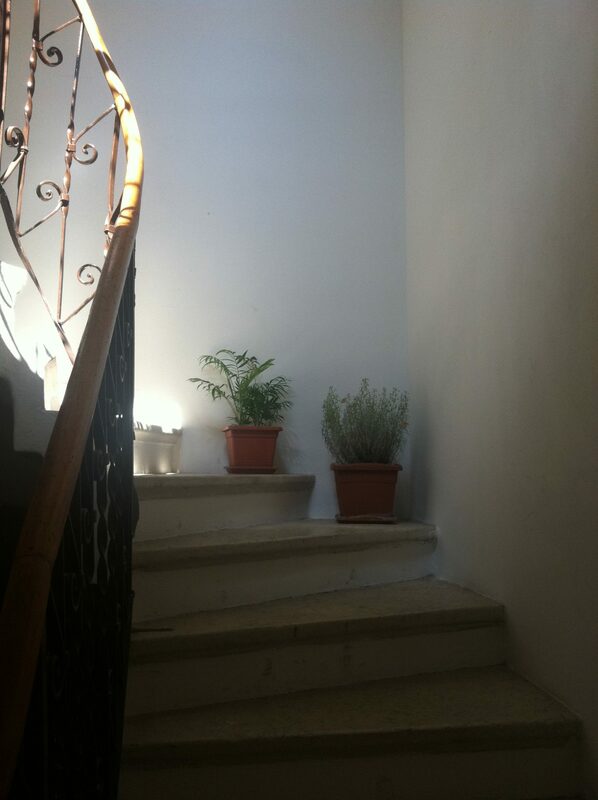 The young owner of Le 2 Terrazze guesthouse in Verona was eager to share his local knowledge of the city. The house was quiet. Apart from a visiting Spanish opera singer (studying Italian by day and practicing singing by night), we were his only guests. An opera singer?! This was definitely Verona. Having grown up in Verona, Alessandro was an expert in what to see and what to avoid. 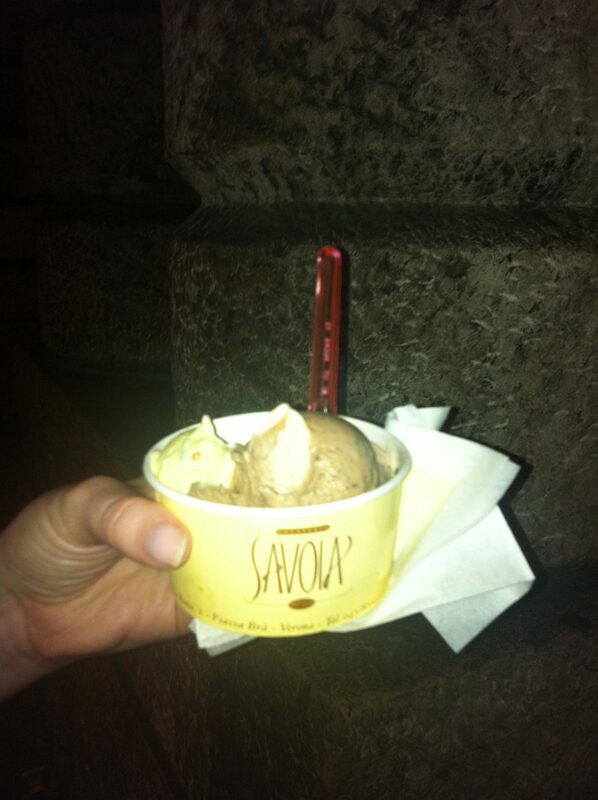 “And finally”, he said, “you HAVE to go to this place – Savoia, the ice-cream is just so yummy and delicious.” Yummy?! They had yummy in Italy? Of course they had yummy. This was Italy. Surely they invented the word. Armed with his map we said our goodbyes and made our way down the marble staircase and out through the heavy iron door. Sunlight blasted the streets outside and it was a mere two-minute walk to Verona’s most famous attraction – Casa di Giulietta, Juliet’s House. Arriving at around 10am in the morning meant we avoided the crowds that tend to clog the small courtyard from midday onwards. Ten minutes is enough time to spend reading the graffiti on the walls, gazing up at the balcony and checking for any loose bricks hiding long lost love notes á la Amanda Seyfried in Letters to Juliet. What light from yonder window breaks? 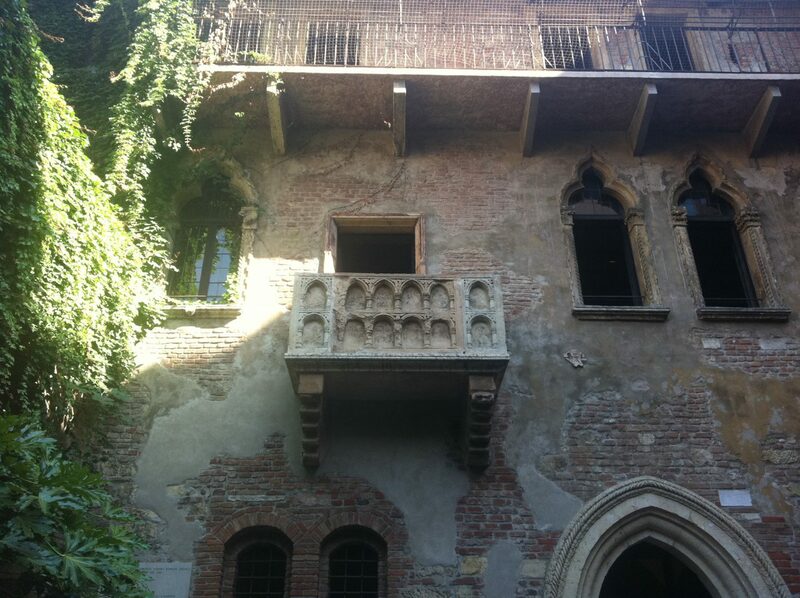 Admission into Juliet’s house costs around €6 and includes a small exhibition of Juliet-related artwork as well as the chance to step on the balcony to re-create your own Juliet moment. 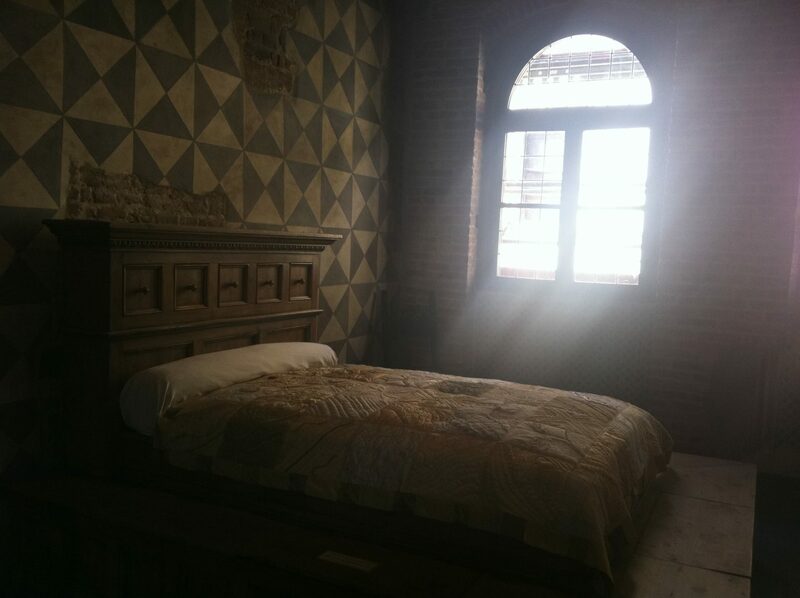 Juliet’s bedroom has been designed to look as it would have during Shakespearean times. The sunlight flooding through the window was a happy coincidence. On the same floor, tortured romantics have the chance to pour their hearts out to the Juliet secretaries via touch-screen “Letters to Juliet”. If you leave your email address, she will actually respond to you. If you’ve got a head for heights, follow Alessandro’s advice and tackle the Lamberti Tower before midday or after 3pm. 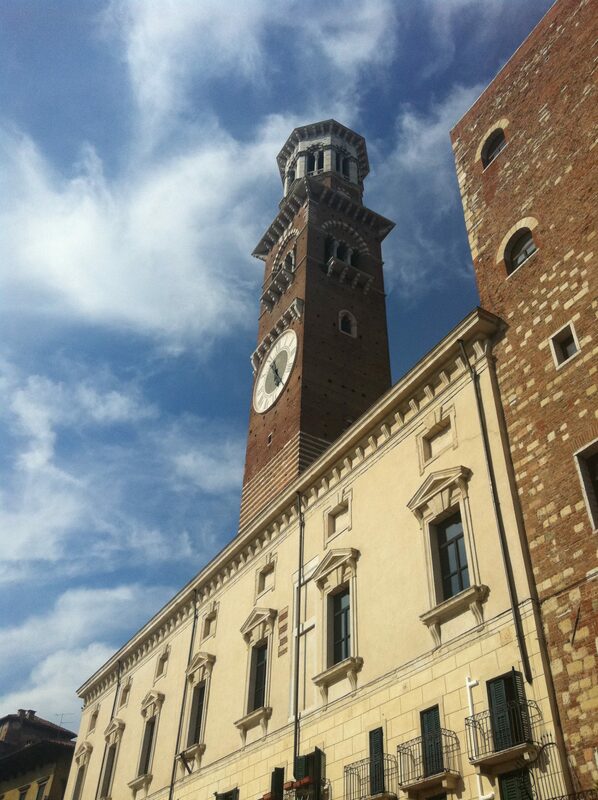 Located in the centre of Verona in the Piazza delle Erbe is the Torre dei Lamberti. Soaring high above the square, the tower dates back to the 12th century, but has undergone a few nips and tucks since then. The most dramatic of which followed a lightning strike which knocked its top off in 1403. In the decades that followed, the tower was restored and made even higher. It’s now the tallest in Verona, standing at 84 metres. The clock was a more recent addition, arriving in the 18th century. The tower was originally constructed to keep watch over Verona and to warn the city of possible disasters such as fire or attacks by the Venetians. Two bells were fitted inside the tower. The little one, known as the Marangona, was used as a fire alarm, while the bigger one, known as the Rengo, was used to call the citizens to arms or to gather the city council to meetings. Despite the tower’s best efforts, the Venetians eventually took control of the city. Fortunately, these days, the amazing views from the top offer some consolation. 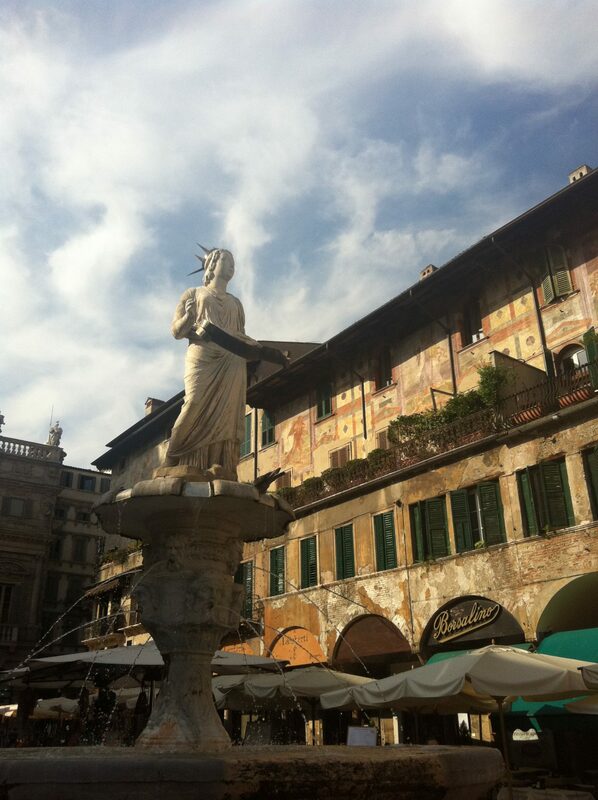 Piazza delle Erbe is the elegant square that’s located just a few steps away from Juliet’s Balcony. When the clock strikes 6pm it’s officially happy hour. Make like a local and relax in the evening sun with a well-deserved Spritz ( prosecco, Aperol and mineral water). Once you’ve ordered a drink you’re free to help yourself to the specially laid-on buffet. 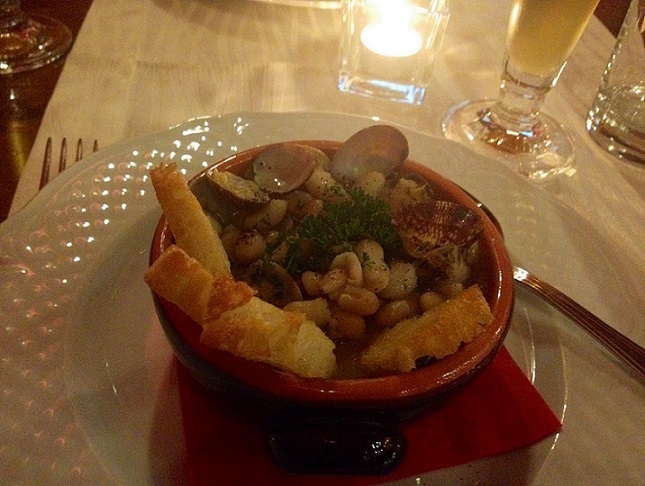 The restaurants in Piazza della Erbe can be quite creative with their offerings – but remember to leave room for dinner. If you haven’t completely ruined your appetite with aperitivo, head to Osterio Bertoldo at Vicolo Cadegra 2/a and enjoy one of the most delicious, authentic meals in Verona. And yes you’ve guessed it, our lovely host Alessandro recommended this place too. The rustic stewed white beans and clams above was indeed buonissimo, but the most incredible part of the meal was the dessert – a selection of homemade sorbet. No pics unfortunately though! And finally, no whistle-stop tour of Verona would be complete without a visit to Gelateria Savoia. Located close to the Arena di Verona, a trip to this gelato parlour is an experience in itself. The family-run shop dates back to 1939 and serves up 24 different types of gelato in cups and cones. The surroundings are rather decadent too. This must be one of the few ice-cream parlours in the world where you’ll see a Murano glass chandelier hanging from the ceiling. The verdict? Yummy. Clearly! Previous Post Travel Edits Wins the Users’ Choice Award at the Skyscanner Travel Bloscars! Great post..you don’t hear much about Verona. And even though I know how they’re doing it, the guy doing the “sit on post” trick always amaze me. PS…digging the new layout. i do think i’d like Verona. i must get there some day soon!! yummmmmm hungry. 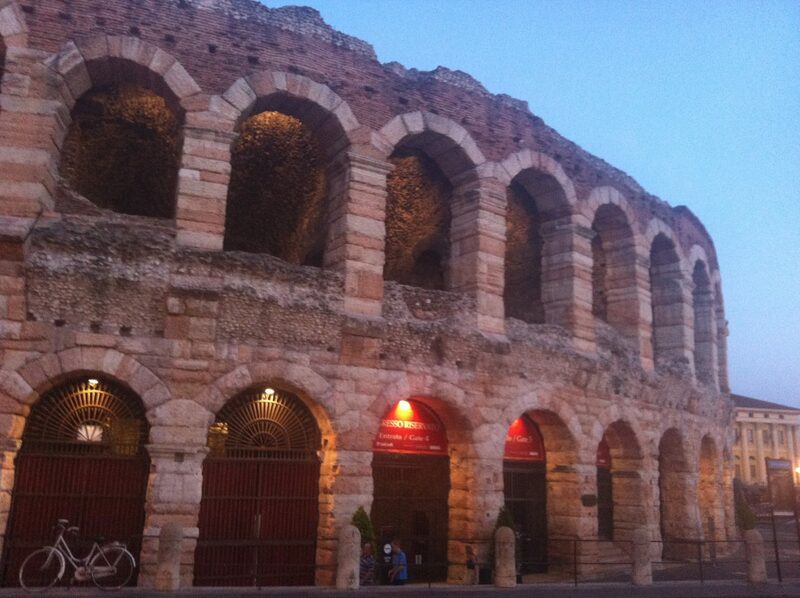 verona just looks like perfection. You just keep making me plan that trip to Verona, Fiona. Next time you’re in Italy Leah! 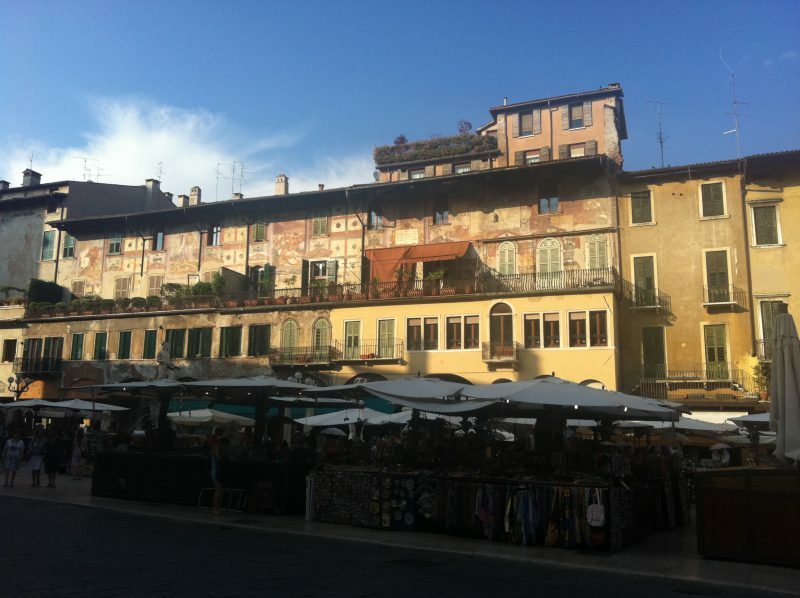 I agree with Deej – Verona is one place in Italy we don’t hear much about. Love this post – especially the parts about Aperol spritz and gelato! 🙂 And I think I need to re-read Romeo And Juliet. Hard not to be inspired, Francesca! I have an awful lot of love for Verona. 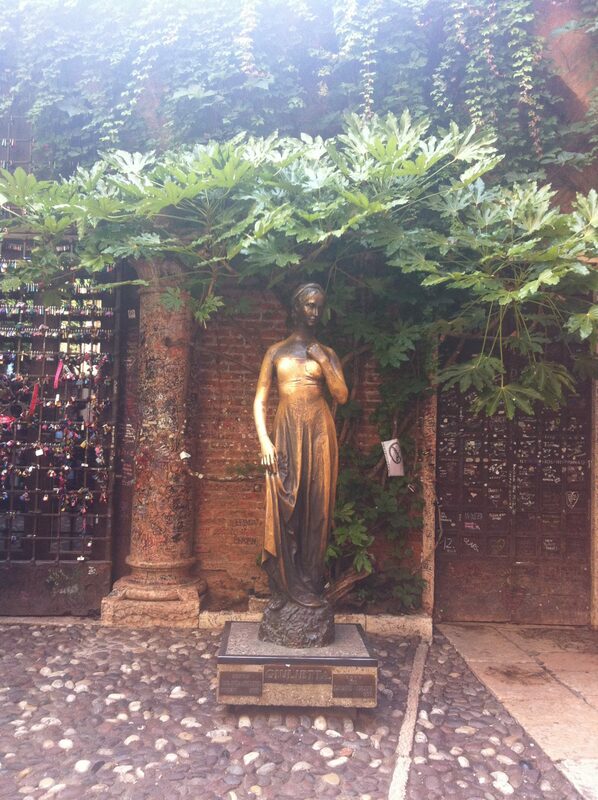 I did go thanks to Letters to Juliet and loved my day there. Had one of the most amazing meals of my life.. I need to go back! Thank you, Fiona!! I think every travel tip should end with a cup of gelato. After climbing the tower, there is less guilt in enjoying the dessert. I like your thinking Ted! Yummy! Yummy! Yummy! I need to make my way back to Italy…starting with Verona! 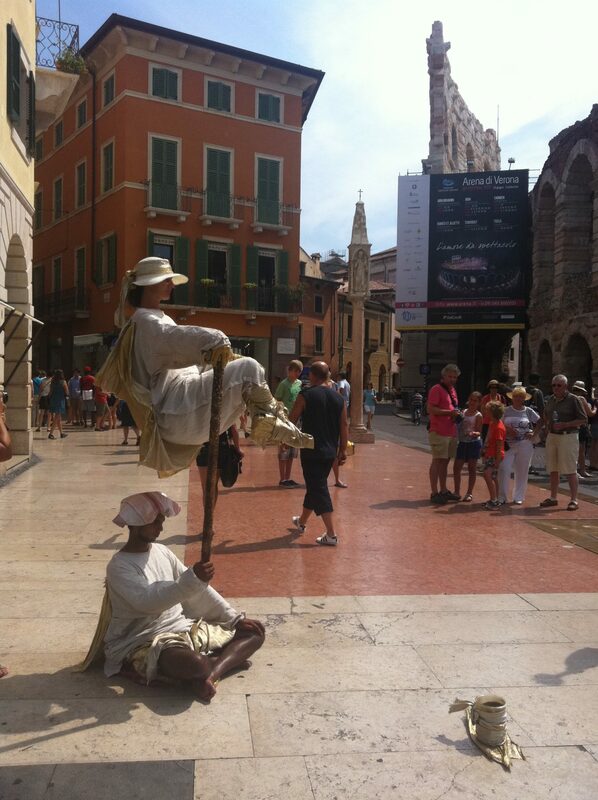 this took me back to my time in Verona… and I went there for an Opera. I wish I had these food recommendations when I traveled through… although I can’t complain about where we did dine. Have you been to South America yet? Not yet- hoping to visit Buenos Aires later this year:) Have you been?